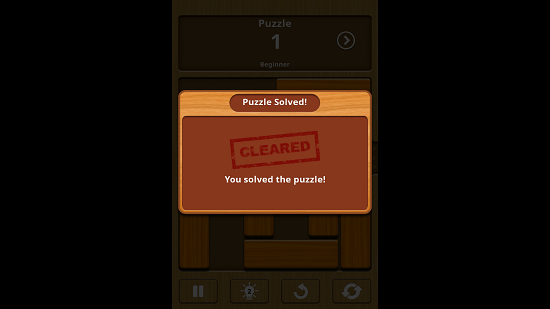 Unblock Me is a free puzzle game app for Windows 8 and 8.1 devices. When you run the game on your device, you will be taken to the main menu of the game where you can start playing the game itself via the Play button. When you click on the same, you will be able to select the game type and choosing that will now bring you to the gameplay screen itself. 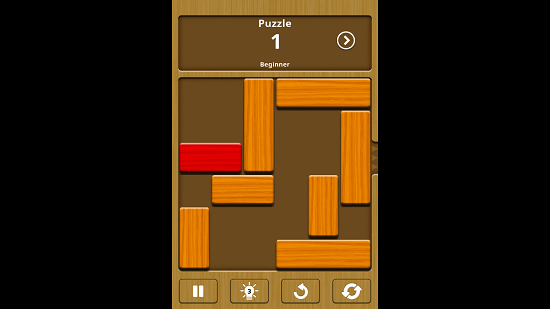 In the gameplay, you will see haphazardly arranged blocks, where you have to move the red block through the exit. The catch is that in the game, the other blocks will keep blocking your path, so you need to clear out the path before you actually are able to move the red block through the exit. The vertical blocks can be dragged vertically and the horizontal ones can be dragged horizontally only. 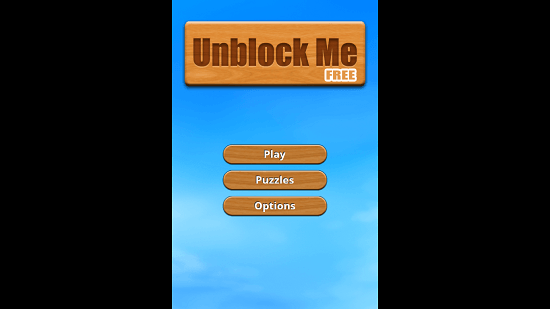 Unblock Me is available for free from the Windows App Store. When you install and run the game on your device, you will be taken to the screen which is shown in the screenshot below. Click on the Play button, you will be brought to the gameplay selection screen. When you have chosen the game type, you will be able to view the gameplay screen of the game. In the above screen you can see the red block at the left side of the screen, and the opening through which you have to drag the block through at the right side of the screen. The game allows you to pause or use hints from the bottom of the screen, and you can go ahead and restart the game or undo your moves too via the other two buttons at the bottom. The current level number is also indicated at the top of the screen. When the game is over, you will see a screen like the below screenshot informing you that you were able to successfully complete the level. Click anywhere in the above shown screen to proceed to the next level. This winds up the main features of Unblock Me for Windows 8 and 8.1 devices. Unblock Me makes for a good game which you can download and play for free on your device running Windows 8 or above. You can grab the game for free from the link below.